"We now have the tools to help doctors spend more time with their patients and create long-term health in addition to treating sickness." Delaware Valley ACO (DVACO), one of the largest Medicare shared savings programs in the U.S., and Humana (NYSE:HUM), a leading health and well-being company, announced favorable results stemming from their year-old partnership. Since 2014, Humana members cared for through the value-based agreement with DVACO have experienced a ten percent increase in medication therapy adherence and a four percent increase in disease management program participation. 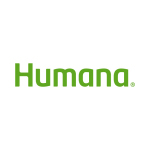 Humana has a 30-year accountable care relationship history. The company has 1.6 million individual Medicare Advantage members and 200,000 commercial members today that are cared for by approximately 44,000 primary care physicians, in more than 900 value-based relationships across 43 states and Puerto Rico. The Delaware Valley Accountable Care Organization (DVACO) is a limited liability company that is owned by Main Line Health, Jefferson Health, Holy Redeemer Health System, Doylestown Health, and Magee Rehabilitation Hospital. DVACO’s purpose is to enhance the quality of health care and reduce the growth rate of health care costs by acting as a convener, accelerator, and provider of the foundation needed to assist its participating members to transition from fee for service model, a business model focused on volume to a model focused on population health. DVACO operates under the Medicare Shared Savings Program (MSSP) and is currently the region’s largest Medicare ACO. For more information, please visit www.dvaco.org.